VIDA blog managing editor Ana Stevenson reflects on the meaning of Women’s History Month, held annually in March, for the UK Women’s History Network blog. 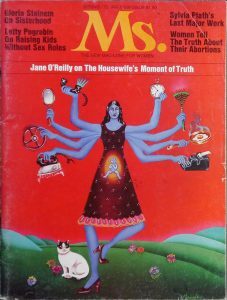 Ms. Magazine, Spring Preview 1972 edition, Liberty Media for Women. Image via Wikimedia Commons. In 1972, Ms. Magazine began a “Lost Women” series, dedicated to sharing the histories of women from around the world. Over the next decade, it featured women such as Mary Wollstonecraft, Frances Wright, Harriet Tubman, Annie Oakley, and Charlotte Perkins Gillman. While these names are fairly familiar today, many remained little known prior to the efforts of women’s liberation. 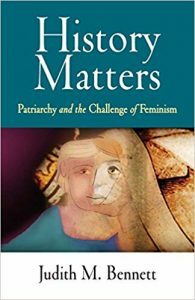 In the years before women’s history had made much headway, in either the academy or society, historian Judith Bennet attests to the transformative power these single-page insights offered feminists. When asked to reflect on what Women’s History Month means to me, the connection between this initiative and its real-world impact came to mind immediately. The conversational tone of the “Lost Women” series, accompanied as it was by rich archival illustrations, offered readers an exciting insight into “herstory.” For the uninitiated, even the smallest glimpse into women’s history can prove transformative. I recall my own moment of intrigue. Before I began to study history, I took a course in music history as part of my music major. In my textbook, I came across a small passage about women’s everyday lives in early modern Europe. I clearly remember the cover of the book, as well as where I was when I first read this passage. It captured my imagination as much as my memory. Each year, Women’s History Month offers us the opportunity to return to the lives of remarkable women and bring their stories to new audiences. In March 2017, we began a series dedicated to “Inspirational Women” at VIDA: Blog of the Australian Women’s History Network. It celebrated the life and work of women as diverse as Australian suffragist Catherine Helen Spence, South African rights campaigner Charlotte Mannya Maxeke, Irish revolutionary Constance Markievicz, Australian-American economist Persia Campbell, and Australian women’s affairs adviser Elizabeth Reid. Since the beginning of 2019, The Conversation has similarly been sharing ordinary and extraordinary stories in a series called “Hidden Women of History,” from ancient Greek priestess Pythia and María, a woman enslaved in the Spanish-controlled Philippine Islands, to Gomeroi land rights campaigner Mary Jane Cain, Chinese-Australian immigrant Hop Lin Jong, and Australian surfer Isabel Letham. All of these endeavours beg the question, what was so “lost” or “hidden” about women’s history – both fifty years ago and now? Almost everything, as Bennett describes the situation in the 1970s. Beyond a few significant European monarchs, little appreciation for women’s history permeated either academic enquiry or the public consciousness. And yet, earlier attempts at recovering women’s past had emerged by fits and starts as early as the Renaissance. 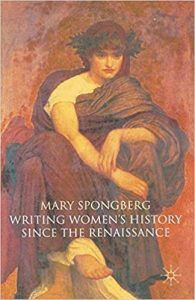 By considering the past, even if largely through the lives of “great women” or “women worthies,” women historians became alerted to their unequal status; as historian Mary Spongberg argues, some even began to develop a feminist consciousness. Returning to Ms. Magazine’s “Lost Women” series today, it is striking to observe the degree to which the tone, content, and format of these articles resembles the appearance and intent of the many collaborative history blogs now available online. However, as we persist in our attempts to recover the more diverse histories of women and share these beyond the academy, even the ordinary women among them appear, somehow, extraordinary. It is gratifying to know that, in their national contexts at least, women such as Maxeke and Markievicz have become well-known and even celebrated. But equally, women who should be well-known in their national contexts, such as Campbell and Reid, are not. In our own historical moment, dominated as it is by an ever greater awareness of gender inequality and spectacular revelations about systemic sexual harassment and sexual violence, it remains as important as ever to continue to recover the lives and experiences of ordinary and extraordinary women all over the world. Perhaps, as we continue to share women’s history in all its diversity, this knowledge might pique the spark of a feminist consciousness in others. These efforts should be confined neither to International Women’s Day nor to Women’s History Month, but need to take place all year round. Check out the original blog post and find out more about the Women’s History Network, which is Britain’s national association and charity for the promotion of women’s history and the encouragement of women and men interested in women’s history. Ana Stevenson is a Postdoctoral Research Fellow in the International Studies Group at the University of the Free State, South Africa. Her research is concerned with women and transnational social movements. 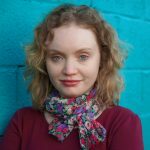 Since 2016, she has been a managing editor of VIDA: Blog of the Australian Women’s History Network.